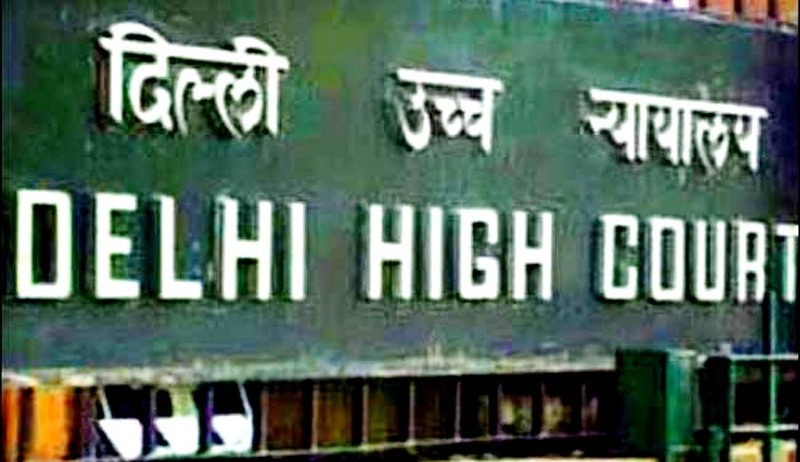 Delhi High Court yesterday decided the question of territorial jurisdiction where an accused is arrested in a State different from where the FIR is lodged. It has been that only such High Court, within whose jurisdiction the subordinate Court is located before whom the trial proceedings are pending and whose quashing is sought, should entertain writ petitions under Article 226 . It was in Sayed Mohd. Masood v. Union of India [W.P.(CRL.) 1546/2013] Justice Manmohan decided the issue. The facts of the case are, on 30th October, 2009, an Enforcement Case Information Report was registered by the Enforcement Directorate, Mumbai Zonal Office, based on preliminary investigation carried out in three FIRs by Cuffe Parade Police Station, Mumbai, by Amboli Police Station, Mumbai and by Vakola Police Station, Mumbai. All these FIRs had been registered under Sections 420 and 120B of Indian Penal Code, 1860 against M/s. City Limouzines (India) Ltd. and its Directors including the petitioner for cheating investors who had subscribed to various schemes floated by it. On 11th February, 2013, the prosecution filed a complaint under Section 3 read with Section 4 of the Prevention of Money Laundering Act, 2002 before a Special Court in Mumbai, alleging that the companies floated by the petitioner had collected monies from investors and had cheated them and had further illegally transferred monies abroad. Preliminary objection was raised by Union of India (Respondent) with respect to the jurisdiction of Delhi Court to entertain the present petition on the ground that no cause of action had accrued within the territorial jurisdiction of the Delhi High Court.. Appearing for the petitioner, senior counsel V P Singh submitted that Delhi Court had jurisdiction to entertain the petition for the reason that substantial cause of action had arisen in Delhi as summons were sent to the petitioner asking him to appear in person in the office of Directorate of Enforcement at Delhi and also the arrest order had been issued from the same Delhi office pursuant to which the petitioner was actually arrested in Delhi. Citing relevant portions of Navinchandra N. Majithia vs. State of Maharashtra & Ors , which read as follows: “ the mere fact that FIR was registered in a particular State is not the sole criterion to decide that no cause of action has arisen even partly within the territorial limits of jurisdiction of another State. Nor are we to be understood that any person can create a fake cause of action or even concoct one by simply jutting into the territorial limits of another State or by making a sojourn or even a permanent residence therein. The place of residence of the person moving a High Court is not the criterion to determine the contours of the cause of action in that particular writ petition. The High Court before which the writ petition is filed must ascertain whether any part of the cause of action has arisen within the territorial limits of its jurisdiction. It depends upon the facts in each case. In the aforesaid situation it is almost impossible to hold that not even a part of the cause of action has arisen at Bombay so as to deprive the High Court of Bombay of total jurisdiction to entertain the writ petition filed by the petitioner. Even the very fact that a major portion of the investigation of the case under the FIR has to be conducted at Bombay itself shows that the cause of action cannot escape from the territorial limits of the Bombay High Court”, Mr. Singh submitted that facts were adequate enough to establish that a substantial cause of action had arisen in Delhi, which would entitle the petitioner to file the present petition in Delhi Court. Opposing the contentions, Mr. Rajeeve Mehra, ASG submitted that Delhi Court did not have jurisdiction as the case proceedings under the PMLA, 2002 of which the petitioner is seeking quashing, the entire cause of action had arisen in Mumbai. Mr Mehra invited the Court’s attention to the fact that ECIR was registered in Mumbai by the Mumbai Zonal Office and also the complaint under PMLA, 2002 had been filed before Special Court, Mumbai and hence petition was not maintainable due to lack of territorial jurisdiction.. Regarding petitioner’s writ petition filed to challenge the detention order under COFEPOSA which was entertained by Delhi Court, according to Mr. Mehra it was entertained as the detaining authority under COFEPOSA was in Delhi and the detention order had also been passed in Delhi. The Court is of the view that the facts relied upon by Petitioner held no importance to the main issue of quashing of certain provisions of PMLA, 2002 and the complaint filed by respondent before Special Court, Mumbai as “cause of action” for the purpose of Article 226(2) of the Constitution of India, for all intent and purport, must be assigned the same meaning as envisaged under Section 20(c) of the Code of Civil Procedure. It means a bundle of facts which are required to be proved. The entire bundle of facts pleaded, however, need not constitute a cause of action as what are necessary to be proved are material facts whereupon a writ petition can be allowed. According to Court the jurisdiction cannot be conferred on Delhi High Court by drawing an analogy between proceedings under PMLA, 2002 with those under COFEPOSA as it agreed with Mr. Mehra’s stand that proceedings under COFEPOSA and PMLA, 2002 are two independent and separate proceedings, emanating from two different statutes. On talking about entertaining a writ petition in proceedings under COFEPOSA pending against the petitioner, it said entertaining a petition would not mean that it has to entertain all matters/petitions emanating from one or all cases pending against petitioner in different courts all over India. Even where a part cause of action has arisen within one High Court's territorial jurisdiction, that High Court can still refuse to exercise jurisdiction under Article 226 on account of other considerations as defined under the concept of forum conveniens. A Five Judges Bench of Delhi Court in Sterling Agro Industries Ltd. 181 (2011)DLT 658 (LB) after considering a number of judgments including Ambica Industries Vs. Commissioner of Central Excise, has explained the concept of forum conveniens which means that it is obligatory on the part of the court to see the convenience of all the parties before it. The convenience in its ambit and sweep would include the existence of more appropriate forum, expenses involved, the law relating to the lis, verification of certain facts which are necessitous for just adjudication of the controversy and such other ancillary aspects. The Apex Court has clearly stated about the applicability of the doctrine of forum conveniens while opining that arising of a part of cause of action would entitle the High Court to entertain the writ petition as maintainable. Stating that the Bombay High Court is better equipped to deal with the present case, the Court said that the Special Court, Mumbai is in seisin of the matter and the prosecution as well as the evidence is available there and it would be appropriate that only such High Court, within whose jurisdiction the subordinate Court is located before whom the trial proceedings are pending and whose quashing is sought, should entertain writ petitions under Article 226. Keeping in view the principle of forum conveniens and also since no significant/material/substantial part of cause of action had arisen in Delhi as well as, Court refused to entertain the present petition and dismissed the petition with liberty to the petitioner to file proceedings in an appropriate court having territorial jurisdiction.